A best-of-five series against Zalgiris Kaunas is between Fenerbahce Beko and a fifth consecutive EuroLeague Final Four berth. 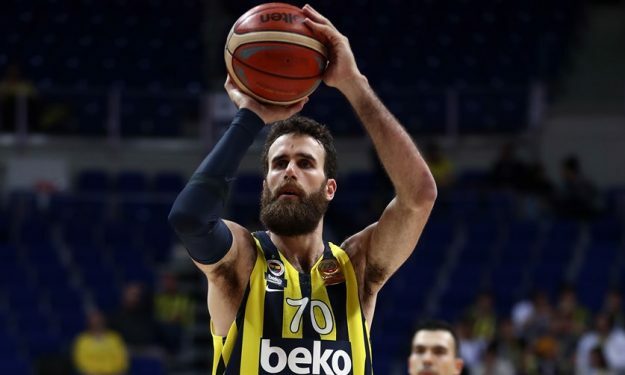 Fenerbahce Beko dominated the EuroLeague Regular Season, but will start from scratch versus Zalgiris Kaunas. The 25-5 W-L record and first place in the standings only provide home-court advantage in the best-of-five series. Zeljko Obradovic’s side terminated Zalgiris’ Cinderella run last year in the Final Four semifinals. This time around the Turkish club will face Sarunas Jasikevicius’ team one stage earlier following the Lithuanian team’s miracle run down the stretch of the Regular Season.